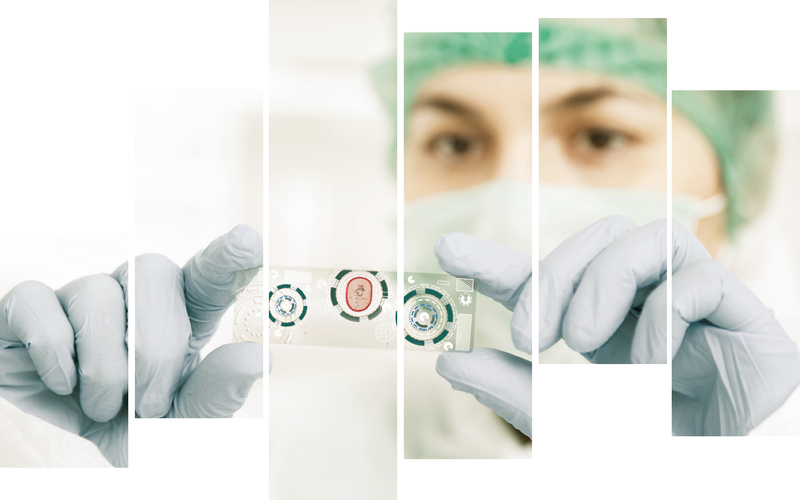 5AM’s portfolio of advanced life science technologies is diversified within the healthcare industry’s biopharmaceutical, drug delivery technology and research instrument sectors. We support companies that are working to solve important healthcare needs via cutting-edge breakthroughs in medicine and science. Our portfolio companies spearhead novel approaches to diagnose, prevent and treat a wide range of medical conditions. Achaogen (AKAO) is a biopharmaceutical company developing small molecule therapeutics to treat infections caused by multi-drug resistant bacteria. IPO in March 2014. Akouos is a biotechnology company developing novel gene therapies for the treatment of monogenic forms of congenital deafness. Alexza (ALXA) is a biopharmaceutical company developing drugs for local and systemic delivery through the lung. Ambrx is a biopharmaceutical company which integrates recombinant protein synthesis with medicinal chemistry to develop protein drugs for a range of therapeutic areas. Aprea is a biopharmaceutical company developing small molecule therapeutics for the treatment of cancer by reactivating mutant p53 tumor suppressor function. Arvinas (ARVN) is a biopharmaceutical company developing small molecule therapeutics that target protein degradation with applications in cancer and other diseases. Audentes (BOLD) is a biotechnology company developing viral-based gene therapy for serious, rare diseases including genetic musculoskeletal disorders. Bellerophon (BLPH) is a clinical-stage biopharmaceutical company developing novel drugs and devices for the treatment of cardiopulmonary and cardiac diseases. Biodesy is a life science instrument and reagent company developing innovative technology systems for measuring protein conformational changes in real time. Bird Rock Bio is a clinical-stage biopharmaceutical company developing biologic therapies for the treatment of rheumatory arthritis and liver disease. Calibrium is a biopharmaceutical company developing next generation insulins to treat diabetes and obesity. Acquired by Novo Nordisk (NVO) in August 2015. Cellular Research is a life science instrument company developing high resolution systems for the investigation of single cells and limited samples. Acquired by Becton Dickinson (BDX) in August 2015. Ceterix is a medical device company developing products to improve outcome for minimally invasive arthroscopic surgeries. Chrono is a biopharmaceutical company developing wearable and programmable therapeutics leveraging novel drug delivery technologies. Cidara (CDTX) is a clinical-stage biopharmaceutical company developing therapeutics for serious fungal infections. Cleave is a clinical-stage biopharmaceutical company developing novel small molecule therapeutics that target protein homeostasis pathways for the treatment of cancer. Crinetics (CRNX) is a biopharmaceutical company developing oral small molecule therapeutics for endocrine diseases. DVS is a life science instrument company commercializing a mass cytometry for characterizing individual cells based on cell surface proteins. Acquired by Fluidigm (FLDM) in February 2014. Entrada is a biotechnology company focused on transforming the treatment of devastating diseases through the intracellular delivery of biologics. Envoy is a drug discovery company with a cell-specific gene expression profiling platform, enabling novel target discovery, such as for the central nervous system. Acquired by Takeda (TKPHF) in November 2012. Epirus (EPRS) is a global biopharmaceutical company focused on pure-play biosimilar business to improve patient access to cost-effective medicines. Merged into public company in July 2014. Escient Pharmaceuticals develops and manufactures molecules that target a novel class of receptors for the treatment of neuro-immuno-inflammatory and autoreactive diseases. Expansion Therapeutics is a drug discovery and development company focused on RNA-targeted small molecule therapeutics for the treatment of expansion repeat disorders. Flexion (FLXN) is a clinical-stage biopharmaceutical company developing intra-articular sustained release therapeutics for the treatment of musculoskeletal diseases. Homology (FIXX) translates proprietary, next generation gene editing and gene therapy technology into novel treatments for patients with rare diseases. Small molecules as novel personalized cancer therapies, leveraging synthetic lethality and immuno-oncology. Ikaria is a commercial-stage biopharmaceutical company developing therapeutic gases for critical care applications. Acquired by Madison Dearborn Partners in February 2014. Ilypsa is a biopharmaceutical company developing non-absorbed therapeutics for renal and metabolic diseases. Acquired by Amgen (AMGN) in July 2007. Incline is a biopharmaceutical company developing a transdermal iontophoretic patch for patient controlled analgesia following surgery. Acquired by The Medicines Company (MDCO) in January 2013. KaloBios (KBIO) is a biopharmaceutical company developing human antibody therapeutics for oncology and respiratory diseases. IPO'ed in 2013 and is now known as Humanigen, Inc (HGEN). Kinestral is a materials research company developing "adaptive" window technology for residential, automotive and commercial application. Marcadia is a biopharmaceutical company focused on developing therapeutics for the treatment of diabetes and obesity. Acquired by Roche (RHHBY) in December 2010. Miikana is a clinical-stage biopharmaceutical company developing small molecule therapeutics for cancer. Acquired by EntreMed, a 5AM company, in January 2006. Millendo is a biopharmaceutical company developing small molecule therapeutics for polycystic ovarian syndrome, adrenocortical carcinoma and congenital adrenal hyperplasia. Neurogastrx is a biopharmaceutical company developing therapies for the treatment of functional and motility gastrointestinal disorders. Nohla Therapeutics is a clinical stage company developing ex vivo expanded universal donor cellular therapies, available on demand for treatment of life threatening diseases. Nouscom is a biotechnology company developing genetic vaccines with the ability to target tumor neoantigens delivered through viral vectors. Novira is a biopharmaceutical company developing small molecule therapeutics targeting viral capsid to treat Chronic Hepatitis B. Acquired by Johnson & Johnson (JNJ) in December 2015. Panomics is a research instrument and reagents company which develops cell-based assays and instruments for quantitative multiplexed measurements of molecular events. Acquired by Affymetrix (AFFX) in December 2008. Pear is a biopharmaceutical company combining existing medications with digital software to improve patient outcomes. Pearl is a biopharmaceutical company developing inhalable formulations for the treatment of respiratory diseases such as chronic obstructive pulmonary disease. Acquired by AstraZeneca (AZN) in June 2013. Portal is a biopharmaceutical company developing needle-free drug delivery system for the injection of large molecules. PNI is a life science instrument and reagent company developing systems for the discovery and development of novel nanoparticles for biomedical use. Pulmatrix (PULM) is a pharmaceutical company developing innovative inhaled therapies to address serious pulmonary diseases. Merged into public company in June 2015. Purigen is a life sciences instruments and reagents company developing novel systems for integrated sample extraction and preparation for genomics applications. Rallybio is an early-stage biotechnology company focused on identifying and accelerating the development of transformative breakthrough therapies for patients with severe and rare disorders. RareCyte is a R&D company that develops systems for the analysis and capture of rare, individual cells in blood which enable a wide-range of single cell applications in oncology, prenatal testing and infectious disease. Relypsa (RLYP) is a commercial-stage biopharmaceutical company developing non-absorbed polymeric drugs, including a potassium-binding agent for hyperkalemia associated with cardiovascular and renal diseases. Scientist.com is a marketplace solution for accelerating the pace of pharmaceutical research and development. scPharmaceuticals (SCPH) is a biopharmaceutical company developing therapeutics with enhanced drug delivery using a convenient, self-administering subcutaneous micropump technology. Semprus is a medical device company developing permanent antimicrobial and anti-biofouling surfaces for use on indwelling devices. Acquired by Teleflex (TFX) in May 2012. Spyryx is a biopharmaceutical company developing inhaled small peptide therapeutics for lung diseases, in particular cystic fibrosis and COPD. Synosia is a biopharmaceutical company developing and commercializing products for neurodegenerative and psychiatric disorders. Acquired by Biotie, a 5AM company, in February 2011. VBI Vaccines is a biopharmaceutical company developing vaccines against Cytomegalovirus and other pathogens. Merged into public company in July 2014. Viveve (VIVE) is a medical device company commercializing a non-surgical, non-ablative medical device for use in women's health. Merged into public company in September 2014. Vor Biopharma is a biotechnology company engineering hematopoietic stem cells for transplant in the treatment of hematological malignancies. Wildcat is a materials research company developing advanced battery materials for consumer and industrial applications.